While Arch Coal (NYSE:ACI) recovered from a severe drop this morning, the stock price is still down about 60% since the beginning of the year and about 75% over the last 12 months. Similar stories prevail across the coal industry: Alpha Natural Resources (NYSE:ANR) is down about 65% and Peabody Energy (NYSE:BTU) – which, at $6.2 billion, now has about five times ACI’s market cap- is down over 35%. According to the EIA’s Electric Power Monthly, 445 million megawatt-hours of energy were produced from burning coal in the first four months of 2012. In the first four months of 2011, coal was used to generate 568 million megawatt-hours, meaning one of the primary sources of domestic coal demand has fallen about 20% in one year. This decline was caused by a huge increase in U.S. natural gas production. Between the increasing production and the continually low prices, utilities are finding it economical to replace coal with natural gas in the production of electricity. According to the same report from the EIA, natural gas generated 371 million megawatt-hours through April 2012, up from 277 million megawatt hours in 2011. Therefore, about 75% of the decline in coal use in utilities can be attributed to competition from natural gas. The monthly data shows that in April, natural gas had pulled even with coal- suggesting that the demand for coal from utilities could decline still further. This macro factor has impacted coal companies’ businesses. In the first quarter of 2012, Arch Coal’s operating income fell by about half compared to the first quarter of 2011, and net income fell from $55.6 million to $1.2 million. Operating income fell in all three of the company’s geographic regions, and cash flow was also down as inventories increased. For the fourth quarter in a row, ACI missed expected earnings; analysts now estimate that net income will be negative in both 2012 and 2013. While coal producers have been struggling, natural gas producers have been more steady. Exxon Mobil (NYSE:XOM), which acquired XTO Energy to strengthen its position in natural gas, is about flat from the beginning of the year despite a decline in oil prices. Anadarko Petroleum (NYSE:APC) is down about 11%, but the decline has not nearly been as dramatic as with coal and so a pair trade against a coal company would have been highly profitable. The market is still giving XOM a generously low trailing P/E of 10, and the forward P/Es of XOM and APC are 10 and 16 respectively; this compares favorably with ACI (for example), which has a trailing P/E of 14 and, again, is expected to report negative earnings over the next year. This may explain why Exxon Mobil and Anadarko Petroleum are among the top ten energy stocks owned by hedge funds. Hedge funds are generally not as excited about coal stocks as they are about gas or even oil. 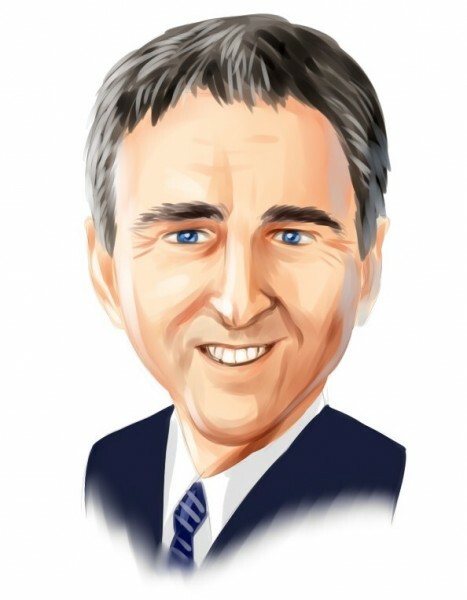 The largest hedge fund holder of ACI was Ken Griffin’s Citadel Investment Group, which owned $13 million worth of shares (see billionaire Ken Griffin’s portfolio). He had tripled his position since the beginning of the year; this may have been a short-term quantitative trade. Michael Johnston’s Steelhead Partners owned 5.9 million shares of ANR, making it the largest hedge fund holder of ANR’s equity. Peabody’s largest hedge fund holder was D.E. Shaw, which owned 1.3 million shares- but also owned 1 million puts, indicating that their equity position is not particularly bullish (check out D.E. Shaw’s other holdings). ANR and BTU have substantial hedge fund activity in their corporate bonds as well.